This week marked the end of Cam's kindergarten year at Meadow Brook! Cameron is fortunate enough to have two amazing teachers- Mrs. Sluiter and Mrs. Freyling. Mrs. Freyling, his kindergarten teacher, had a certificate event at the school. Jane and Ronda attended and Cam was super excited to see them there. whole life through, is to know that YOU are special....just because, you are you!" Cam's first day of kindergarten seems like yesterday when he was so excited to find out that Mrs. Freyling liked Curious George just as much as he did! 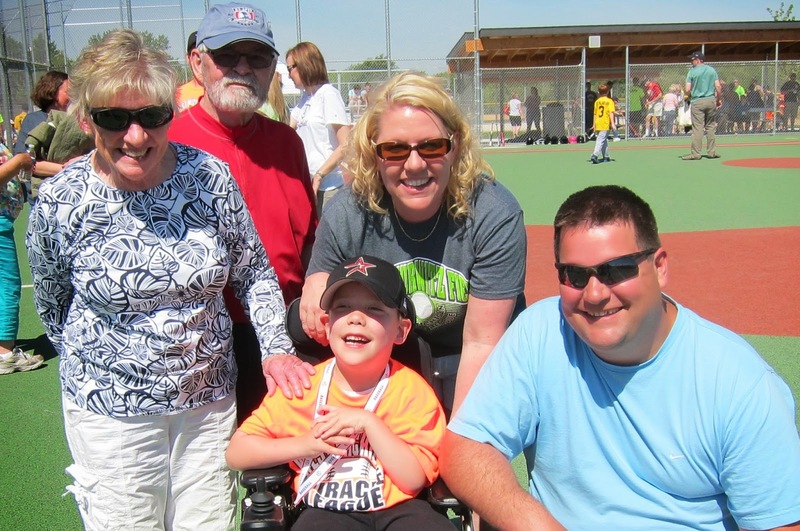 On Saturday, we ventured over to Cam's last baseball game for the WMML spring season. And Cam enjoyed his largest fan section to date! Aunt Mary and Uncle Ray were cheering loudly as they watched Cam get a hit and make it to first base! From his Head Start school, Ms. Kathy and Ms. Kate arrived with their families. 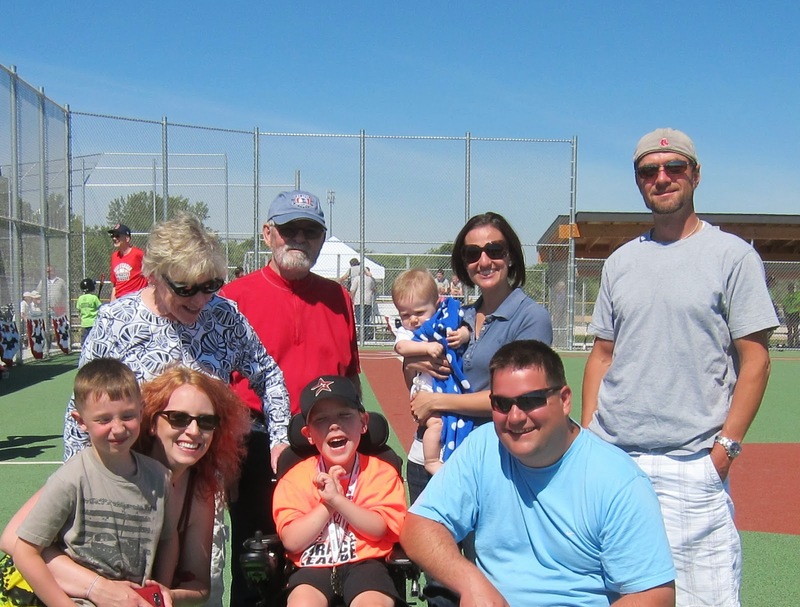 Ms. Kathy and her husband, Carl and his son Forest joined Ms. Kate, her husband, Scott and baby Noah. Oma and Opa and cousin Kevin gave a shout and clapped each time Cam moved to the next base and went up to bat. It was a beautiful day for baseball. We were all thankful for the 10am game as the sun was already beaming. When the game ended, Cam received a medal (shown around his neck) for playing this season. We are so proud of the confidence he gained and look forward to signing him up for the fall which will commence right after Labor Day. Many Thanks to everyone for making it to a game- as a family we are humbled by your support and love. Cam couldn't have been happier to see each of you in the stands! !